Pokemon Go was a phenomenon like nothing the world has ever seen. Using augmented reality technology, the mobile game encouraged millions of players to go out in the real-world and flick virtual Poke Balls to catch Pokemon. The game debuted in the U.S. on July 6, 2016, and, in the first few days of release, people playing the game were linked to stampedes through Central Park, car accidents, and armed robberies. Pokemon Go, for all intents and purposes, was the summer’s biggest hit. However, with a new season comes a new craze. In September 2016, a new mobile game hit the app stores, proving that nothing outshines the most popular brand or celebrity of today—YouTube stars—and, in this case, PewDiePie (Felix Kjellberg) and his 54-million-strong Bro Army. The mobile game in question: PewDiePie’s Tuber Simulator. 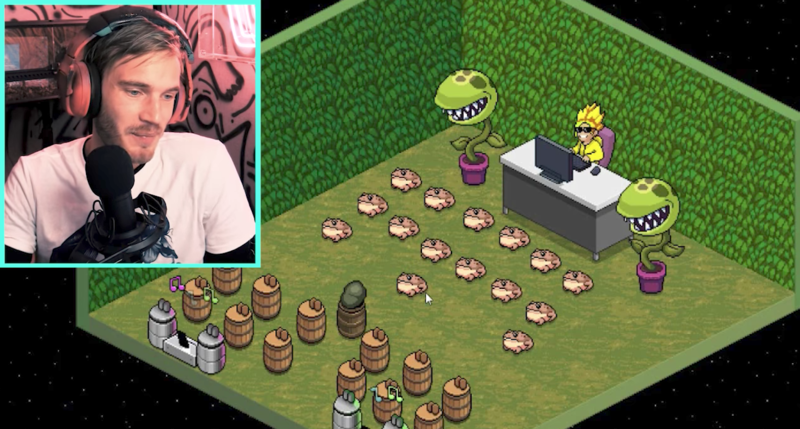 From Montreal-based Outerminds, Tuber Simulator is actually their second game featuring PewDiePie, YouTube’s most subscribed user. Not only did Tuber Simulator top the proverbial beast of the summer, Pokemon Go, it was also the #1 free app within 24 hours of release. “We were expecting the game to be successful, but not that successful,” says Ghislain de Pessemier, Outerminds’s co-founder as well as business development and community manager. Tuber Simulator also kept up with the Kardashians, shattering the record once held by Glu’s Kim Kardashian: Hollywood for most installs in the first week of release for a celebrity-led mobile game. Almost lost in all the talk around Tuber’s success is its phenomenal integration of rewarded video ad monetization. Here, we explore Outerminds and PewDiePie’s unique partnership, and we take an in-depth look at the genius behind Tuber Simulator’s 4 distinct rewarded video ad integrations, which currently exhibit an over 80% engagement rate with players. In November 2014, PewDiePie enlisted the help of an unlikely partner to make a mobile game with his likeness: Outerminds. The previous three-person team was in the right place at the right time, working out of GamePlay Space, a coworking area for game developers in the heart of Montreal. That very coworking space just so happened to be hosting a Game Jolt-sponsored game jam—and PewDiePie was in attendance as a judge. What came out of the three-day game development sprint for Outerminds was PewDiePie’s Paradise Island, a simple platformer themed around PewDiePie, his two pugs (Maya and Edgar), and other references to the YouTube megastar’s series of videos. Although Paradise Island didn’t win the game jam, it did win PewDiePie’s heart—and business. Shortly after the game jam, PewDiePie partnered with Outerminds, starting full-time development in January 2015 on what would become PewDiePie: Legend of the Brofist. Legend of the Brofist, a platformer with a $5 price tag, vaulted up the top paid app store charts shortly after launching in September 2015, reaching the #1 spot in several countries. Based on the success of Brofist, it only made sense for both parties to see how a free-to-play mobile game starring PewDiePie would perform. 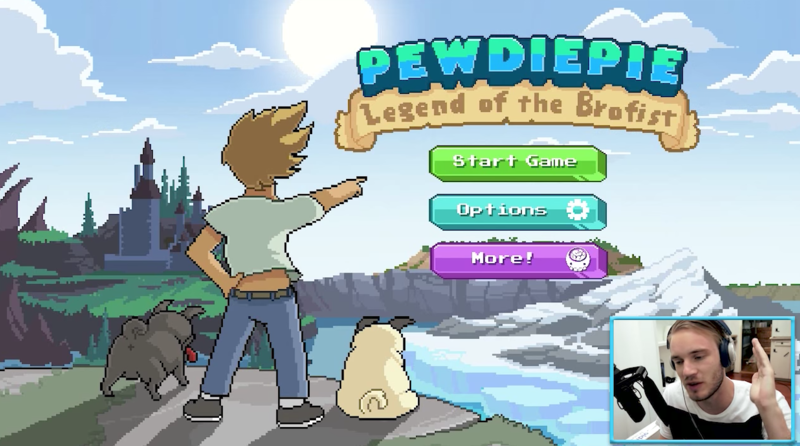 So Outerminds went to the drawing board to find ideas for a follow-up to Legend of the Brofist. They chose to develop an idle game where players are tasked with simulating the act of creating YouTube videos. “We decided to do that metagame that you want to be PewDiePie because it was just fun,” de Pessemier says. At first, Outerminds hoped that the game would be a quick, three-month project to develop. However, as it normally goes with mobile game development, things change. The studio added a game loop where users can purchase objects to decorate their “Tuber’s” room with these objects. Despite adding more to the original mobile game design document, Outerminds was happy they took the time to make the game they envisioned. “It took longer than what it was supposed to, but I think it was totally worth it,” de Pessemier says. 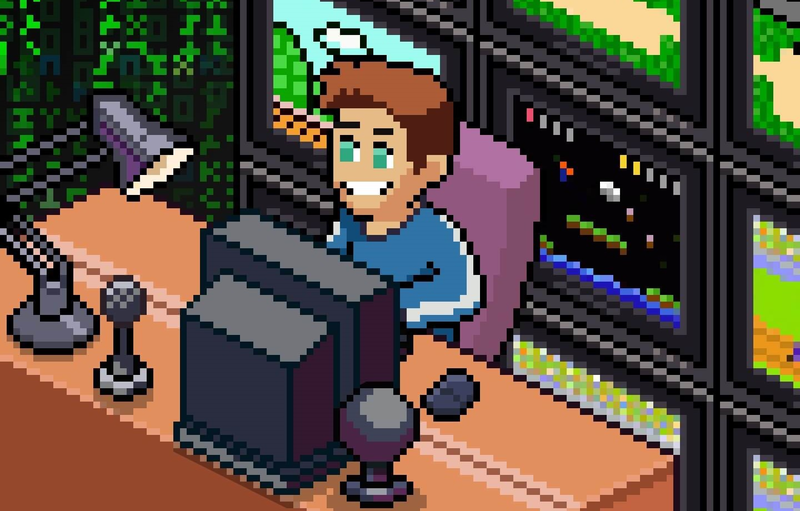 From the beginning of development on Tuber Simulator, Outerminds invested their time and energy in creating rewarded video integrations that players want to watch. The players’ “want” to watch is the key here, which is fundamentally different than integrating rewarded video that Outerminds wants players to watch. It puts players first, Outerminds second. “The decisions were made more in terms of pleasing the gamer than pleasing our wallet,” de Pessemier says. Besides making sure they integrated rewarded ads players actually want to watch, Outerminds created a video ad monetization strategy that fits Tuber Simulator’s central theme and aesthetic appearance. 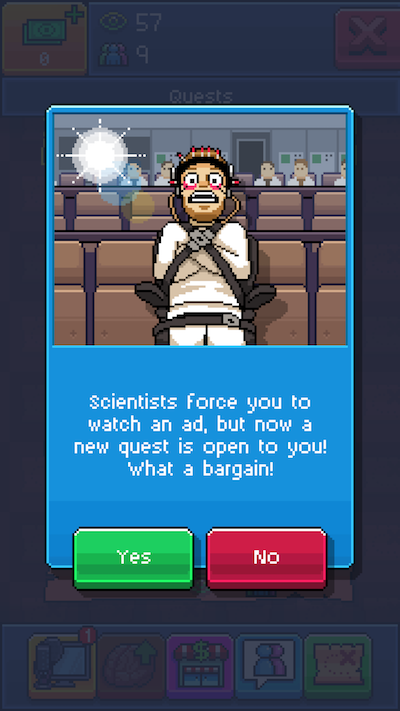 In the first few minutes of the FTUE (first-time user experience), a voice-over from PewDiePie describes how players can engage with rewarded video ads, while making fun of the concept of watching video ads in a mobile game at the same time. “We’re making fun of the ads themselves,” de Pessemier says. “Every time you’re watching an ad, there’s kind of a joke. For example, Clockwork Orange. Even if you don’t know Clockwork Orange, you see PewDiePie tied in a straightjacket. “Our four ad placements are perfect, in my opinion,” de Pessemier adds. The core gameplay of Tuber Simulator is the act of making videos. Similar to real YouTubers, players create videos in order to generate views and attract subscribers. In the menu to make a video, players are presented at the very top with a call to action that reads “BOOST! X2.” What this does is allow players to create new videos twice as fast for a limited time. All players must do in return is watch a short video ad. Views and subscribers collected from creating videos act as the game’s soft currencies. Players can use these currencies to buy items from the shop. All items are either cosmetics for the Tuber or objects and decorations that can be placed inside the Tuber’s room. After a player purchases something from the shop, they must wait for the shipment to be delivered. 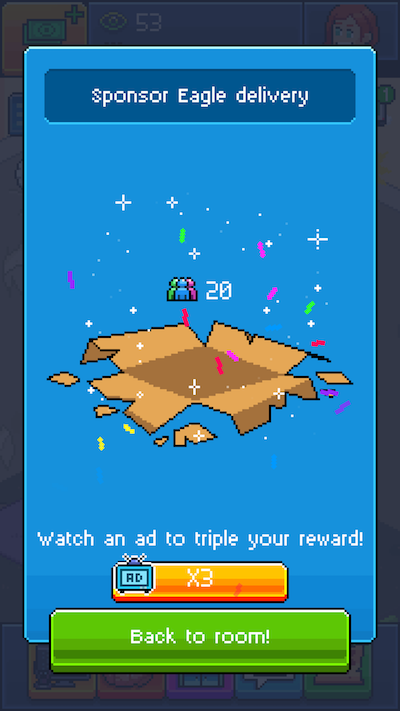 Outerminds masterfully integrated a rewarded video ad integration that fits the context of the game perfectly. Once an item is bought, players are given the option to watch a video ad in order to speed up shipping time. Players have the option to complete Quests for both soft and hard currency rewards. Adding new quests requires Bux, Tuber Simulator’s hard currency. Outerminds added an alternative to unlocking Quests via rewarded video. By watching a rewarded video, players can gain access to a new quest without paying real money for Bux—a slick alternative that doesn’t negatively affect the value of the game’s hard currency. At random moments in the game, a bald eagle, aptly named Sponsor Eagle, flies back and forth across a player’s room that delivers a random reward. If a player taps on the eagle as it soars across the screen, they’re sometimes given the option to watch a rewarded video ad to multiply (double or triple) the reward amount. The Sponsor Eagle placement gives Outerminds the ability to provide rewards to players in search of additional rewards, without compromising their intrinsic motivation to just play the game. By not knowing exactly when Sponsor Eagle will show up, it creates uncertainty for players, keeping their motivations to continue playing not for the pure need for rewards but for the enjoyment of encountering Sponsor Eagle at unpredictable times.